What Are the Benefits of Kombu Seaweed? Life Force Body Balance is a liquid product that claims to include nine sea vegetables and aloe vera with the purpose of supporting overall well-being. The product is prepared using “Good Manufacturing Practices” as set by the Food and Drug Administration. As of early 2009, no clinical trials have been performed on Life Force Body Balance. Life Force International claims no reports have been made that Body Balance interferes with any drugs. Body Balance was created in the early 1980s by Wayne Hillman. Sea lettuce is common green seaweed that is only two cell layers thick. It is sold as a medicine in China and can be found almost worldwide. Sea lettuce is used as a food, for the treatment of gout, as a source of iodine, and is also used as animal feed. Irish moss is the dried and bleached plants of chondrus crispus. Used as an additive, it is the source of carrageenan, and is also used as an additive in animal feed. Irish moss has actually been used as a laxative and as home remedy for maladies such as sore throats and chapped skin. This plant has also been observed to produce a mild anticoagulant effect of the blood. Bladderwrack, also known as fucus vesiculosus, is a brown seaweed found in the northern coasts of the Atlantic and the Pacific oceans of the North and Baltic seas. According to the National Institutes of Health, bladderwrack received a letter grade of C in the spectrum of uses tested for in animals and humans. A C grade indicates there is unclear scientific evidence for the use of bladderwrack as an anticoagulant, antioxidant, cancer treatment, diabetes treatment, goiter remedy or weight loss aid. Kombu is an iodine containing sweet sea kelp. Kombu is mainly from the species Laminaria and Saccharina and can be found mainly in the North Atlantic and North Pacific. Dabberlocks, also known as alaria esculenta, is an edible seaweed which grows on rocky, exposed surfaces. Ascorbic acid, calcium, carbohydrates, carotenoids, B12, iodine, iron, magnesium, manganese, niacin, potassium, protein, vitamin B6, vitamin A2, and saturated fatty acids are all found in dabberlocks. Norwegian kelp, or ascophyllum nodosum, is used as a food additive, and for the treatment of rheumatism. Some evidence suggests that clumps of Norwegian Kelp have been found in some cases to be more than 400 years old. Gigartina chamissoi is a seaweed that has been used as a food thickener, source of iodine, and as an ingredient in many cosmetic products such as facial creams and toothpaste. Palmaria palmate (dulse), is an common red seaweed that is consumed whole as a food. Dulse has been used since the 12th century in Ireland. Nori is a Japanese name for an assortment of seaweed. 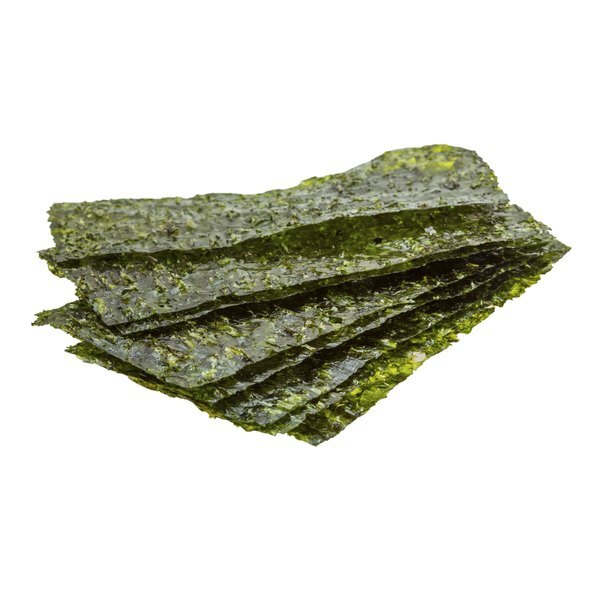 Nori contains vitamin A, B and C, as well as calcium and iron. Aloe Vera gel has been used in the successful treatment of some burns and abrasions. Aloe latex has been used in the past as a laxative. According to the National Center for Complementary and Alternative Medicine, no other use of aloe vera has been supported by scientific evidence. People with diabetes who take glucose-lowering medication should consult a physician before taking aloe vera by mouth, as some studies suggest it may lower blood glucose levels. Cynthia Hunter is a health and fitness writer in San Diego, CA who began writing in 2009. She is a National Academy of Sports Medicine-Certified Personal Trainer, Performance Enhancement Specialist and a Master Fitness Specialist certified through the Cooper Institute. Hunter's articles have been featured in many online publications including eHow and LIVESTRONG.COM. Hunter is currently working toward a degree in medicine.